After the clone process is done boot with the new hard drive installed into your MacBook Pro laptop. 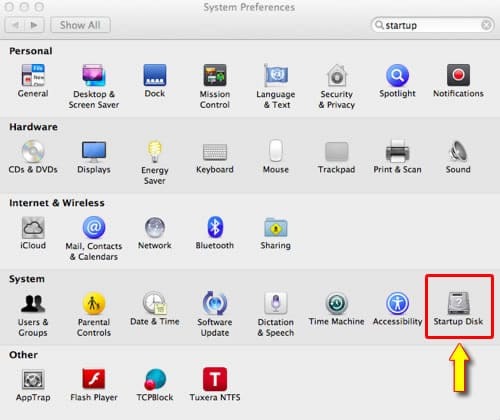 Now go to the System Preferences and click on Startup Disk. A new window will open up and you will see icons of all hard drives currently connected to your computer. Select (highlight) the new hard drive you just installed to set it up as a primary boot drive. Restart your laptop. Now the Mac OS X boot time should get back to normal.